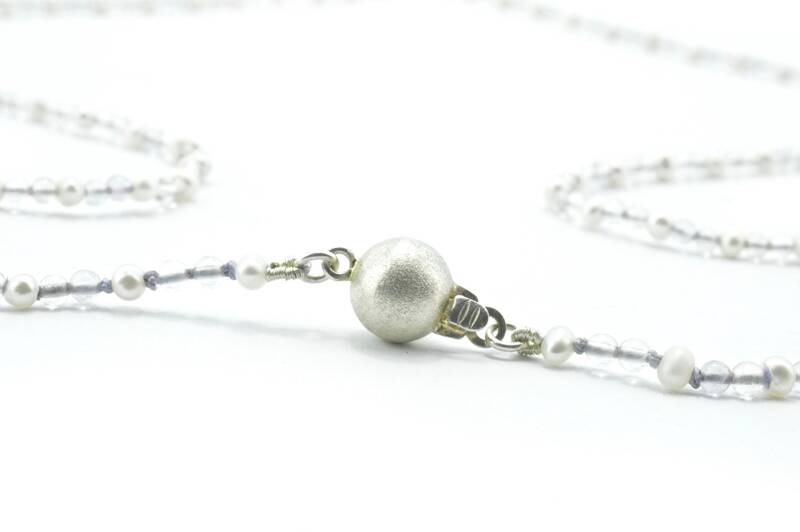 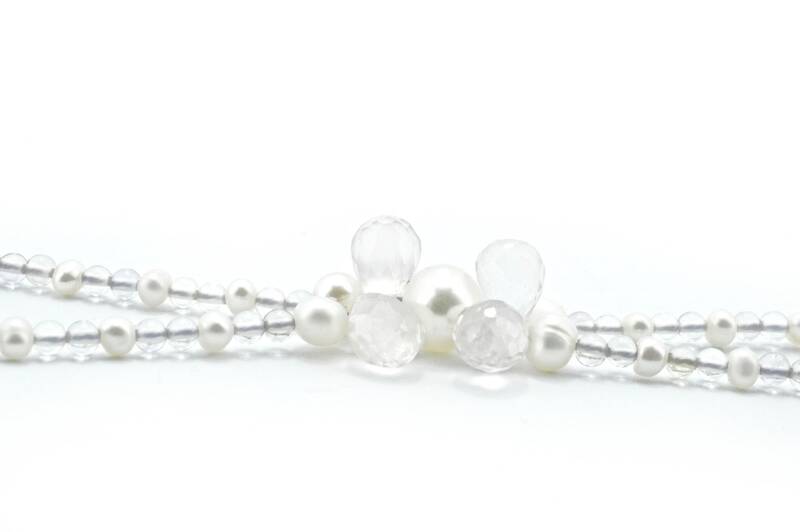 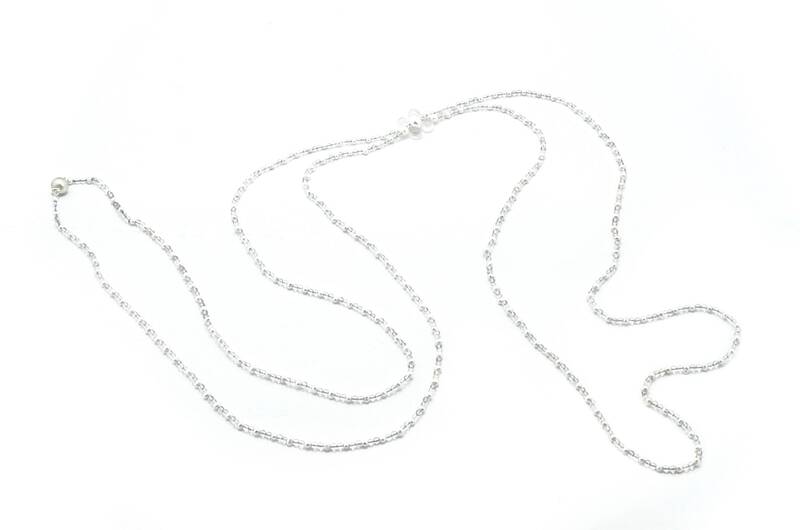 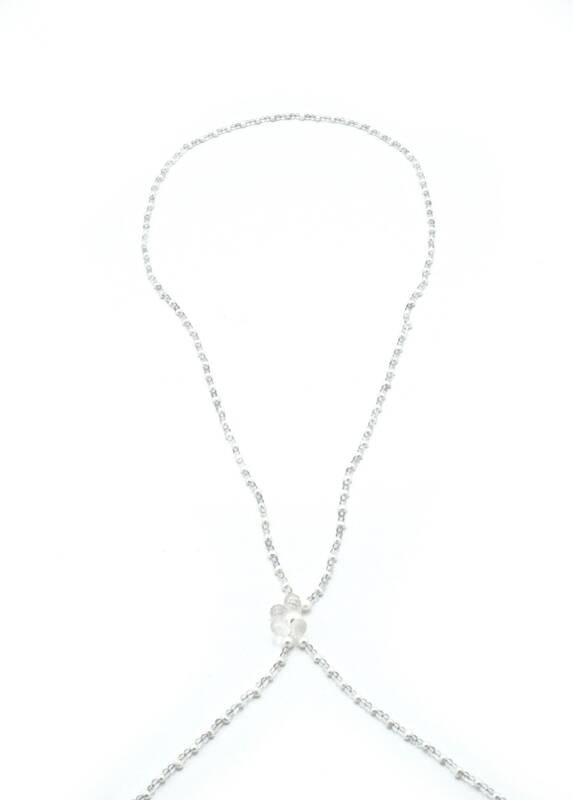 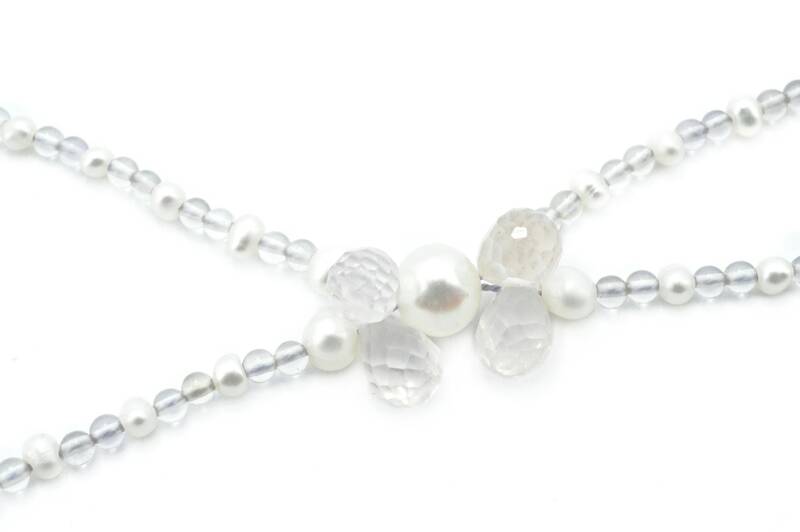 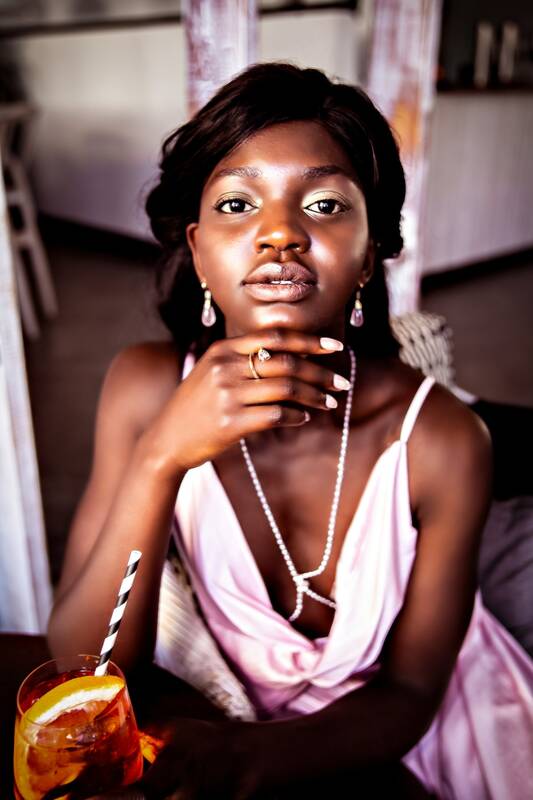 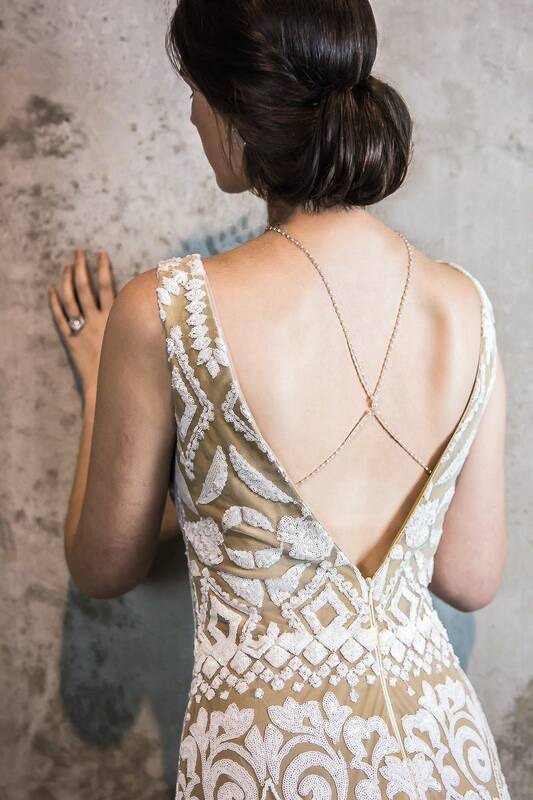 The Allure Embrace necklace as the name suggests embraces as you wear it looping around your head and wraps around your body to be fixed at the waist with a pearl clasp. 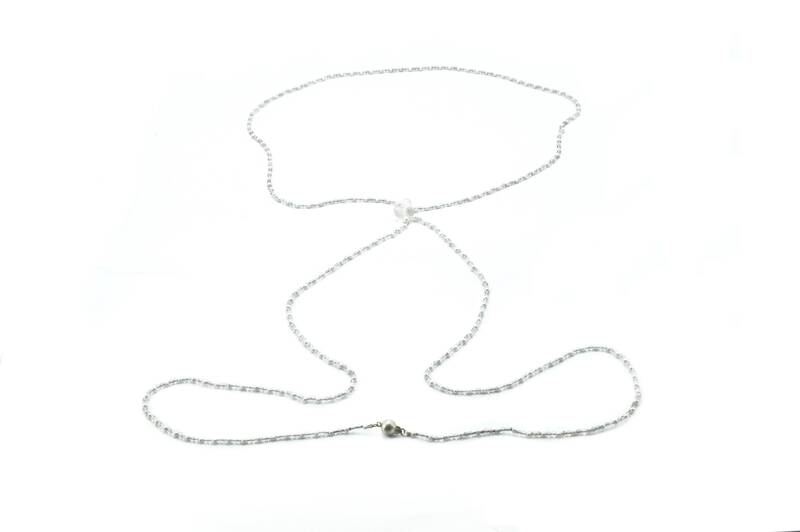 It can be worn either crossing the chest or back to draw the eye and create a powerful and fascinatingly mysterious look. 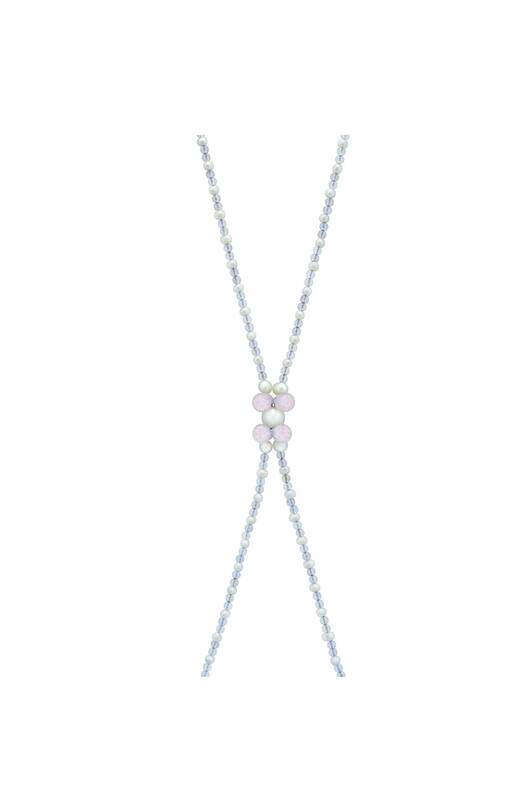 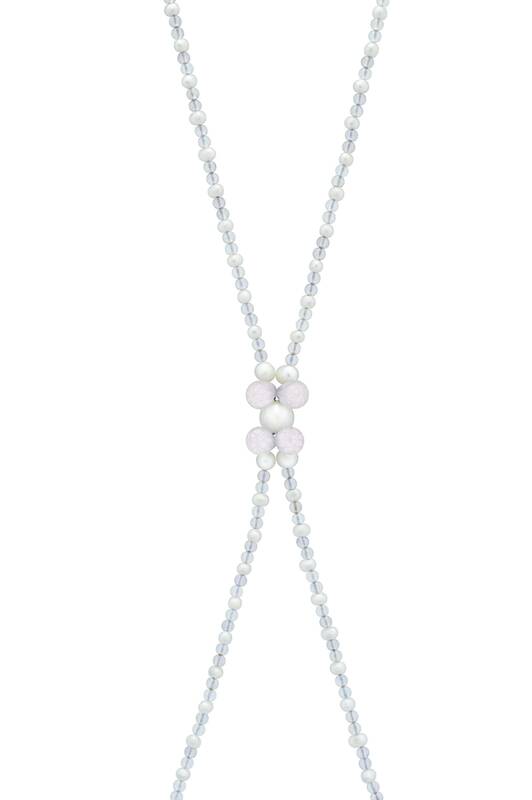 The necklace features rose quartz, mauve amethyst and pearl held together with silk string and a sterling silver pearl clasp.